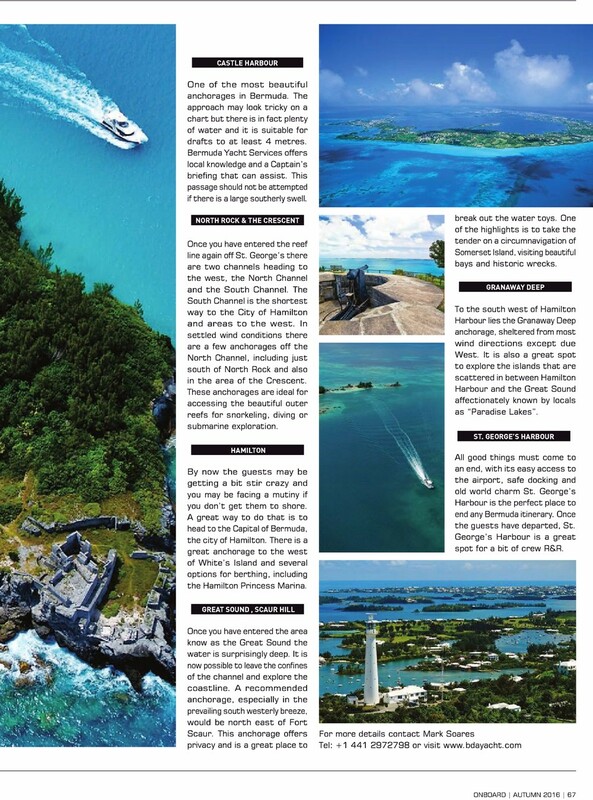 The yachting opportunities to be found in Bermuda have been highlighted recently in two separate publications, including the autumn 2016 edition of ‘On Board’ and the October 2016 edition of ‘Triton,’ with one of the articles written by Mark Soares of Bermuda Yacht Services. 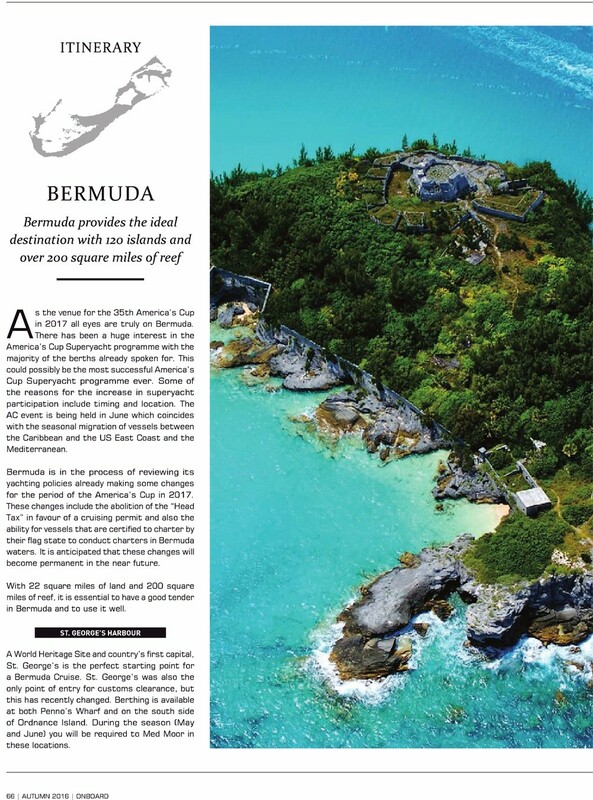 The ‘On Board’ story showcases the island in detail, covering a number of locales, with the article opening by saying, “As the venue for the 35th America’s Cup in 2017 all eyes are truly on Bermuda. There has been a huge interest in the America’s Cup Superyacht programme with the majority of the berths already spoken for. This could possibly be the most successful America’s Cup Superyacht programme ever. “Some of the reasons for the increase in superyacht participation include timing and location. The AC event is being held in June which coincides with the seasonal migration of vessels between the Caribbean and the US East Coast and the Mediterranean. “Bermuda is in the process of reviewing its yachting policies already making some changes for the period of the America’s Cup in 2017. 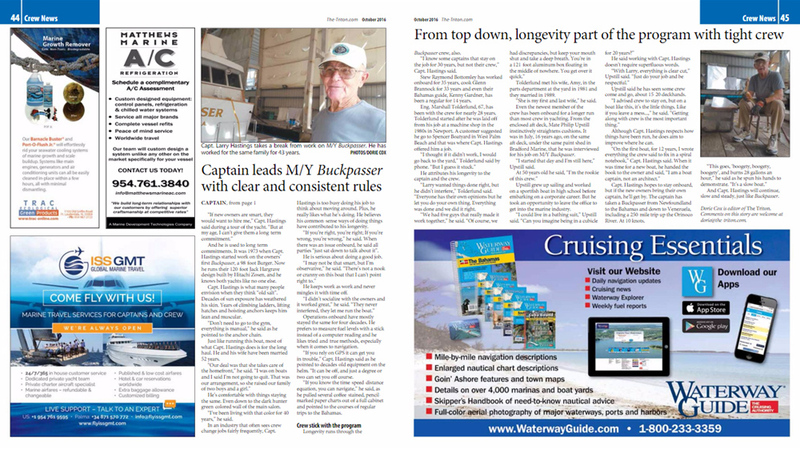 These changes include the abolition of the “Head Tax” in favour of a cruising permit and also the ability for vessels that are certified to charter by their flag state to conduct charters in Bermuda waters. 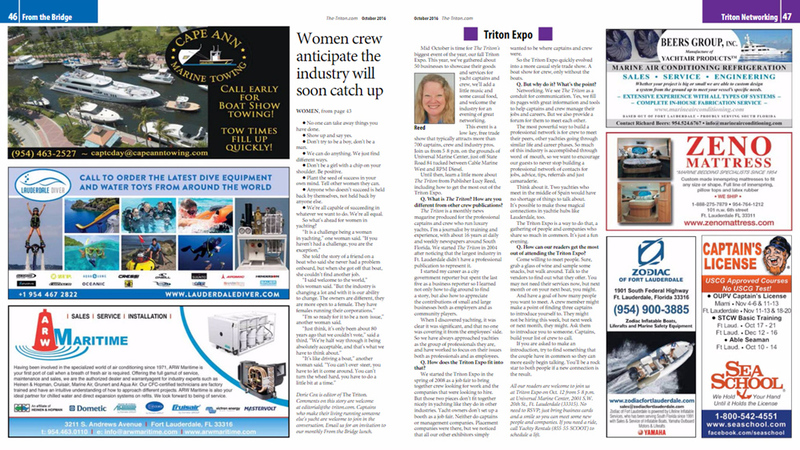 To see the full ‘On Board’ article, click here; to see the full ‘Triton’ article, click here.